Meet your neighbor Kristen Cook. She is the daughter of Diane and Greg Imlay. She was born in Macomb and raised in Havana. She and her sister, Dana, spent a lot of time growing up at her parent's lake where Cook learned to swim and to drive. If she wasn't at the lake she was at the pool or camping and loved being around friends and family. Cook graduated from Havana High School in 1991 and went on to graduate from Eastern Illinois University in 1995 and from MacMurray College in 1998. Cook is now married to her husband Travis Cook and they have three children, Andrew (6), Addison (3), and Brody (8 months). This is her first year as the science teacher at Illini West High School where she teaches Biology and General Science. 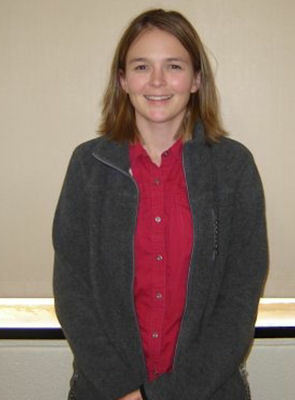 She has previously taught science at Hamilton High School and Quincy High School. Something Cook will never forget is when she got to go to Saint Louis University for an Anatomy and Physiology workshop and got to dissect a cadaver. She loves playing with her children, being outdoors, swimming, and fishing.